Our Dato Method high tension badminton racquet stringing technique allows us to string racquets up to an astonishing 42 lbs. 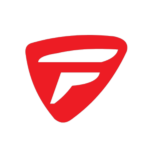 This service must be pre-ordered online by adding this item to your cart and paying for it prior to bringing your racquet into the store. This price is for labour only and does not include string. String may be selected in-store when you bring your racquet in for service. In making this purchase online, you are agree to the terms of laid out in the HIGH TENSION RACQUET STRINGING WAIVER which is posted below and which is also included in our Terms of Service. What is high tension badminton racquet stringing? High tension badminton racquet stringing includes all badminton racquets strung over 24 lbs. The maximum we allow is 42 lbs. 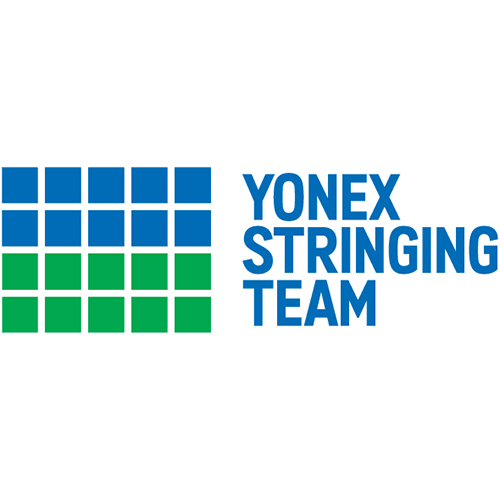 Who uses high tension badminton racquet stringing services? 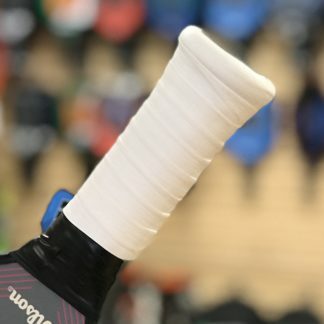 High tension badminton racquet stringing is preferred by elite badminton athletes who are sponsored by a racquet company and who are getting their racquets for free. Is high tension badminton racquet stringing recommended for recreational players? 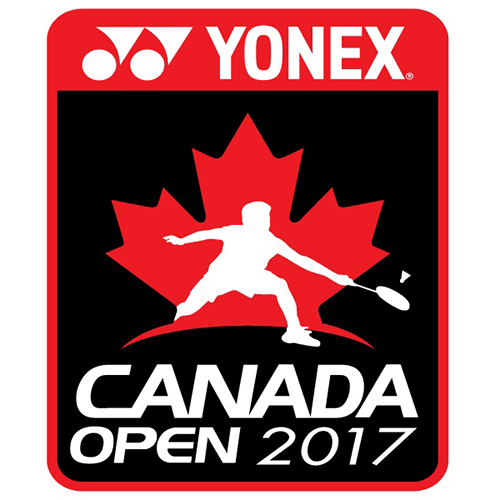 High tension badminton racquet stringing is not recommended for recreational players because of the high risk of frame breakage during smashes. Without exception, recreational players using high quality graphite racquets should be stringing their racquets in the 20-24 lb range. Recreational players using frames with aluminum loops should be in the 16-19 lb range. 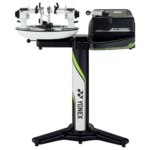 Where can I get high tension badminton racquet stringing services? Racquet Network offers high tension badminton racquet stringing services at our southwest Calgary store. 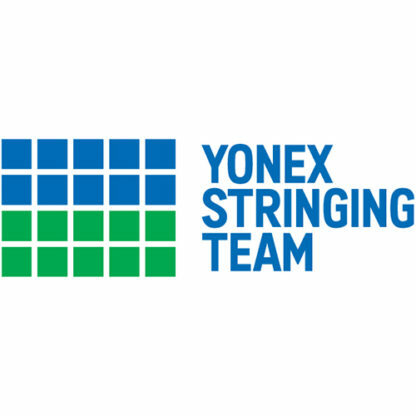 All of these frames are strung by members of the Yonex Stringing Team who are trained in high tension stringing. All high tension badminton racquet stringing services are by appointment only. 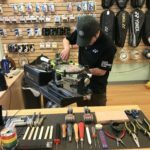 Depending on staff scheduling, one-hour and/or one-day stringing may not always be possible. What method of high tension stringing do you use? We use the Dato Method, a center-out stringing technique that utilizes one piece of string and two knots. All high tension stringing occurs after hours when there are no distractions and the stringer cannot be rushed. Pull speeds are reduced to absolute minimums and several pauses are built into the stringing process in order to allow the frame to absorb all of the additional tension. When performing high tension stringing, our stringers double back on the outside mains and then string the middle crosses first. 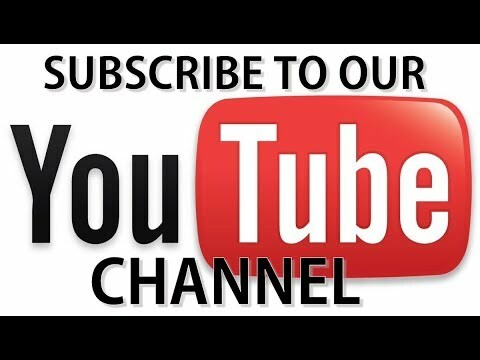 This prevents the loop from becoming deformed at either the top or the bottom. Once the loop is stabilized by installation of the middle crosses, they complete the bottom crosses This ensures that loop is fully stabilized before starting the weakest part of the frame, which is the top of the loop furthest from the handle. When stringing at tensions over 32 lbs., our stringers take additional steps to stabilize both the top and bottom of the loop order to prevent it from changing shape while we are stringing the mains. In addition to the steps above, our stringing machine is precisely re-calibrated immediately prior to all high tension stringing jobs. All of these extra steps and precautions increase the stringing time from about 20 minutes (standard stringing) to well over an hour. The higher the tension, the longer it takes. Why is Dato Method better than other methods? 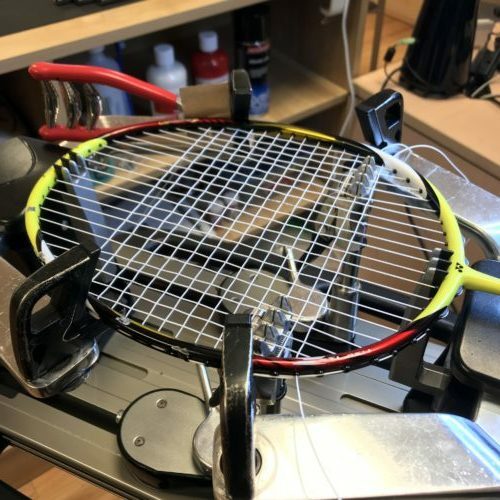 The most common way to string high tension racquets is to increase the tension by 10% over parts of the string bed and the decrease by 10% over other parts. At best, this is only an estimate and cannot be replicated from one string to another. It also results in inconsistent tension over the entire string bed. The Dato Method ensures that every string is pulled to the precise tension requested by the customer. This results in consistency both across the string bed and from stringer to stringer. So as long as our stringers are following this method, the results will be the same regardless of who strings it. 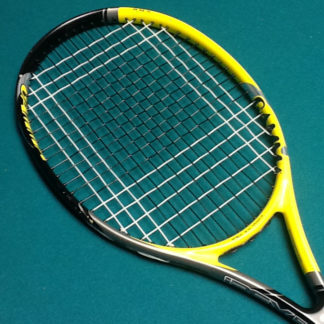 If my badminton racquet breaks during high tension stringing, who is responsible? 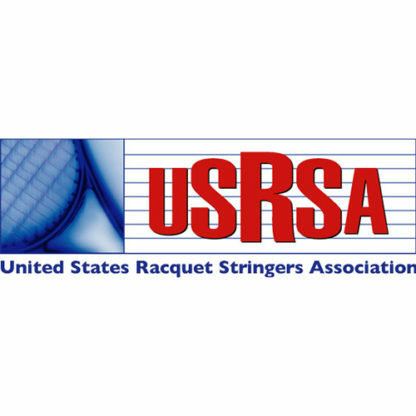 The waiver further stipulates that Racquet Network provides no warranty on either the frame or the string when the customer chooses high tension stringing. High tension stringing is available for CUSTOM RACQUET STRINGING SERVICES. It is not available for DISCOUNT RACQUET STRINGING SERVICES. 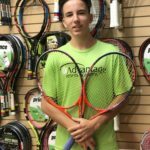 Can my racquet be strung at high tension? In ordering this service this service, I acknowledge and represent that I HAVE READ THE FORGOING Waiver of Liability, UNDERSTAND IT AND SIGN IT VOLUNTARILY as my own free act and deed; no oral representations, statements or inducements, apart from the foregoing written agreements have been made; and I EXECUTE THIS RELEASE FOR FULL, ADEQUATE AND COMPLETE CONSIDERATION FULLY INTENDING TO BE BOUND BY SAME. 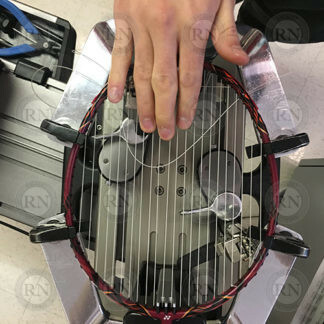 I have always been curious about stringing a racket at 36 pounds. This time I decided to give it a try out and I am very satisfied. I havn’t broke the racket yet, fingers crossed. But if I still like it in a few weeks I will get my other racket strang this way to.